Unlike Daydream, this device won't require a phone. 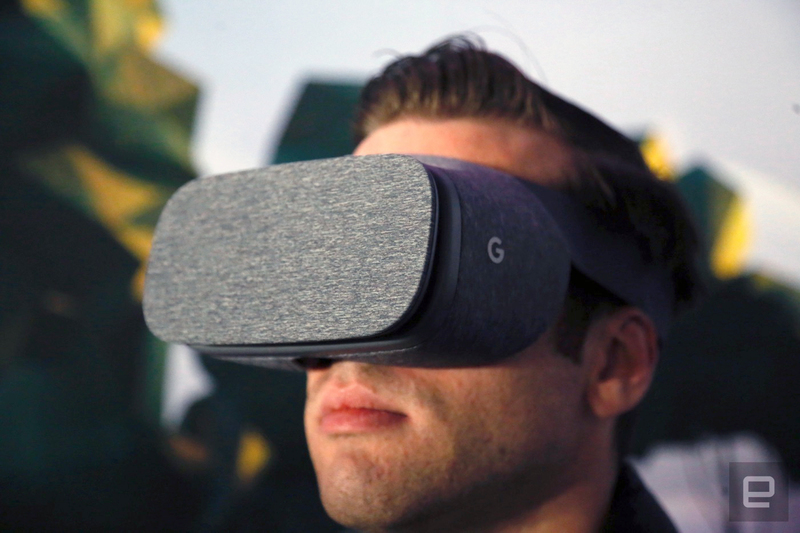 Google's plans for a new headset are advancing. In July, we wrote that Google had been actively assigning individuals to work on a high-end standalone headset that doesn't require a computer or smartphone. In the three months since, people familiar with the matter have told Engadget that Google's device will integrate eye tracking and use sensors and algorithms to map out the real-world space in front of a user. With these two technologies, Google will be able to augment the reality in front of the headset, displaying digital objects alongside environments and objects from the real world. Sources also confirmed that Movidius, an AI company currently being acquired by Intel, is providing chips that will aid in tracking motion and positional awareness. Sources have previously explained that the headset, which is separate from the company's Daydream VR platform, will not require a computer or phone to power it. Earlier today, The Drum reported on a potential "wireless virtual reality" device that passed through the FCC's approval process. Although the heavily redacted filings reveal very little, beyond some wireless capabilities, it does have Mike Jazayeri, director of product management for Google's VR group, listed as a contact. We were unable to confirm whether the FCC-approved device, apparently for internal and partner testing, is related to the standalone headset plans. While we're unsure what form the final headset will take, there are two companies that are aspiring to achieve similar goals: Microsoft (with its HoloLens headset) and Magic Leap. The latter actually counts Google among its extensive investors list, with the search giant leading one funding round and participating in another. Magic Leap refers to its technology as "mixed reality." It differs from HoloLens by generating a digital light-field signal that can apparently create a better illusion of depth than HoloLens. Although all three products have similar goals, one source described the new standalone headset as something that blurs the line between virtual and augmented reality -- bringing the world into VR, rather than VR into the world. When reached for a statement, both Google and Movidius declined to comment. Update: This article has been updated to reflect Google's response.